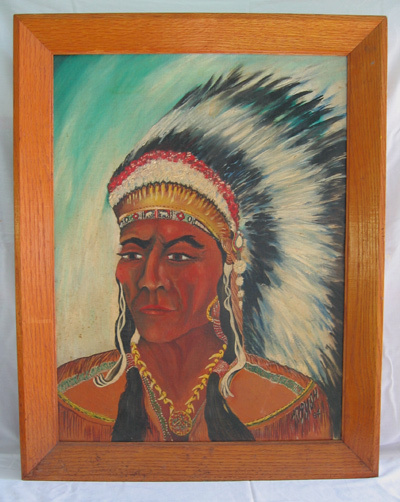 A folky Indian Chief, signed "Rush" and dated 1964 in the fringe on his jacket. Oil on canvas, remounted and paper backed in the original frame. Found in southwestern Pennsylvania.